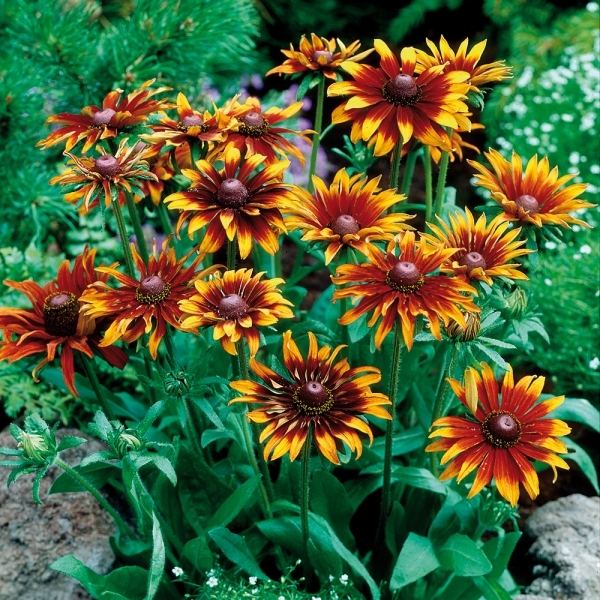 The Cone flower - Rudbeckia species, is one of late summer's great flowering plant families. At a time of year when most plants are spending their time producing seeds, the Rudbeckia hybrids ans species are up there with the best of them producing large, long lasting flowers that are as colourful as anything seen in the spring. If you have your heart set on a successional flowering garden then you would be 'mad in the head' not to have at least a couple of cultivars of this hardworking perennial. Rudbeckia is a plant genus of 23 species, all of which are native to North America. 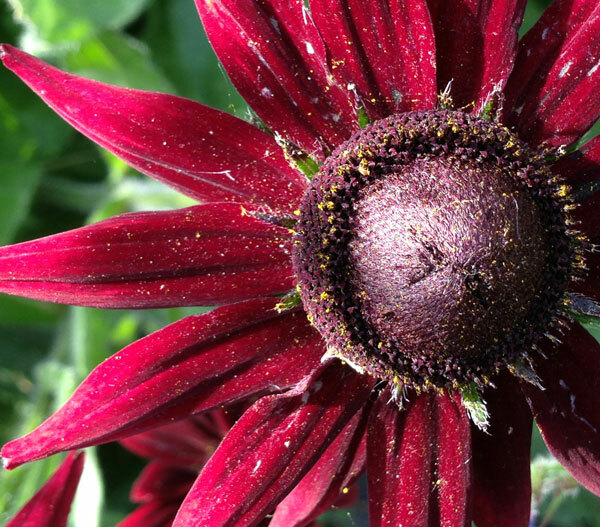 Perhaps the most popular species is Rudbeckia hirta, also known as the 'black-eyed-susan'. There are a number of fantastic cultivated varieties ranging both in colour and height, and producing bold colours blooms up to 5 inches across! The name was given by Carolus Linnaeus (the father of our modern system of classification) in honor of his teacher at Uppsala University, Professor Olof Rudbeck the Younger (1660-1740), and his father, Professor Olof Rudbeck the Elder (1630-1702), both of whom were botanists. Luckily for us Rudbeckias will grow in any well-cultivated and well-drained soil. they prefer an open and sunny site, but some taller species may require staking in exposed conditions. The flowers appear from August to October and are produced in daisy-like inflorescences, with yellow or orange florets arranged in a prominent, cone-shaped head. It is this arrangement that has brought about its common name of the cone flower.